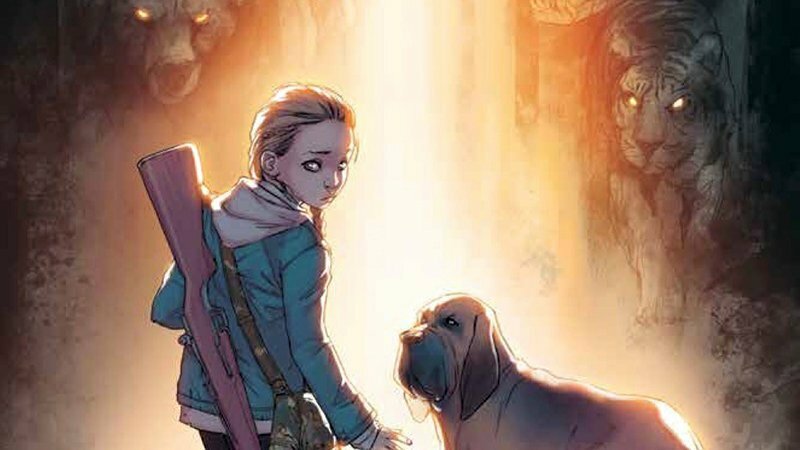 The worldwide film rights to the critically acclaimed comic book series Animosity has been acquired by Legendary. Published by Aftershock, the Animosity comics are written by Marguerite Bennett and illustrated by Rafael de Latorre. In Animosity, one day the world is plunged into chaos when animals suddenly wake up. They start thinking. They start talking. They start taking revenge. In the midst of the turmoil is Jesse, an 11-year-old girl, and her devoted dog, Sandor. One year after the incident, Jesse and Sandor begin a cross-country journey from New York to San Francisco, to find the only person who might be able to protect and save them. Jon Silk is overseeing the project for Legendary with Lee Kramer and Jon Kramer producing for AfterShock Media. Comic book writer Marguerite Bennett is one of AfterShock’s original creators and previously worked for DC Comics, Marvel, BOOM! Studios, Dynamite, and IDW. Some of her projects include INSEXTS, Batman, Batwoman, Bombshells, A-Force, Angela: Asgard’s Assassin and FOX’s Sleepy Hollow. Over a million copies of her work has been published so far in the last three years. Legendary’s recent productions include the upcoming action movie Skyscraper starring Dwayne Johnson, Jurassic World: Fallen Kingdom which is currently in theaters, as well as the Hulu series The Looming Tower and Netflix’s Lost in Space.